Rihanna is still chilling in her native Barbados. So far on this trip she’s worn pieces by Fleur du Mal and CF. Goldman. Click here if you missed that post. Last night photographers spotted the singer arriving at a restaurant on the island. She’s got quite the tan. Rih rocked a floral print dress from Dries Van Noten‘s Spring/Summer 2017 womenswear collection. 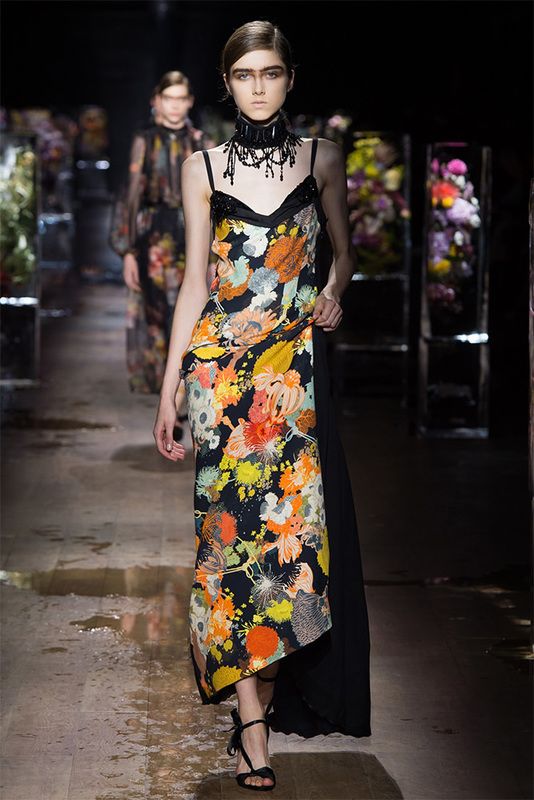 Above is a dress from the runway with the same print. The singer’s version has elbow-length sleeves and a v neckline. Pieces from this collection won’t be available online to the masses until next year. 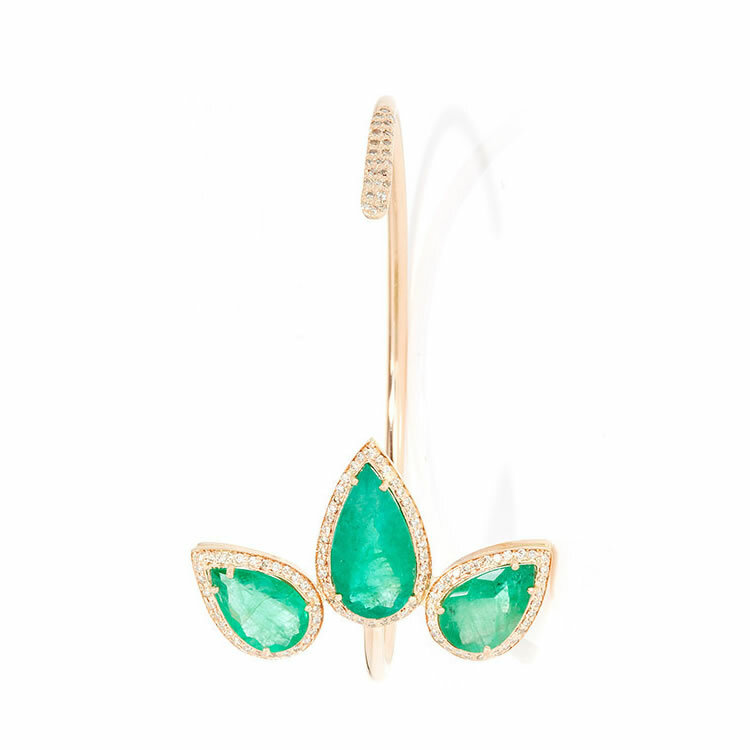 Among her jewellery is a cuff by Jacquie Aiche and it’s the designer’s pavé diamond emerald teardrop cuff. Click here to shop the current collection. Update: René Caovilla designed Rihanna’s asymmetrical sandals. Crystals embellish the twisting straps.